Details: The project is coming up at Asangaon – Shahapur in Thane district. It is spread over 5 acre of land. The project offers 8 towers with G+4 floors, it has 384 units of 1Rk, 1 and 2 BHK studio and residential apartmenyts. 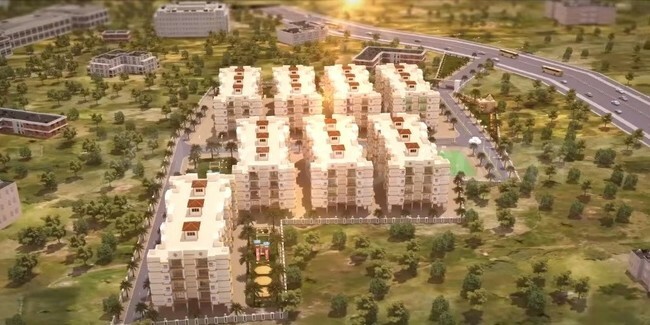 The amenities include swimming pool, lawn tennis court, jogging track, cafeteria, cctv camera, amphitheater, etc.